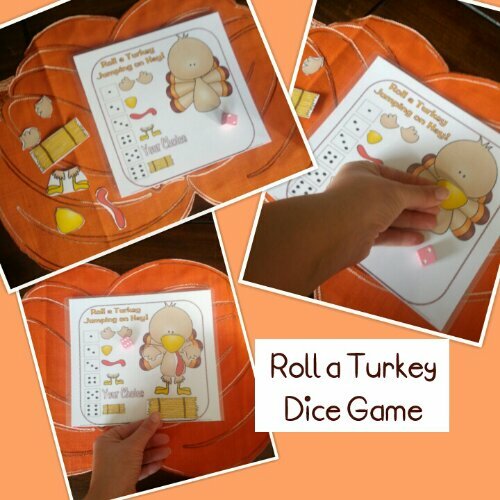 Roll A Turkey Dice Games! 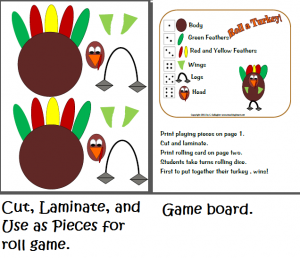 I have a free dice game to share as well as a new one I created that is part of my new Thanksgiving Turkey Games packet for Preschool and Kindergarten. Here is a FREE roll a Turkey game. You will need to cut out all of the playing pieces and laminate them. The student will put together the pieces as they roll till they have put together all of the turkey and win. Here is another version which is part of a huge set of games found here. 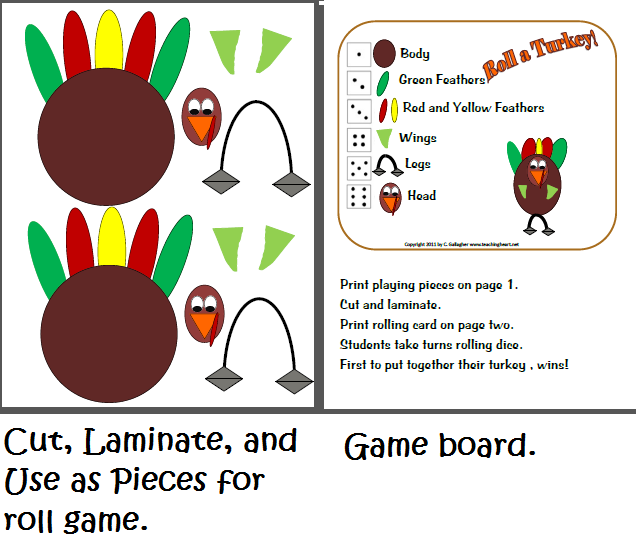 Roll a Turkey Jumping on Hay – Print the game. I laminated a few sets to use in small groups. cut and take it home to play when they are done. You can view more games from this set by clicking here or if you are ready to purchase – click here. Click here for the FREE Roll a Turkey. Also, check out all the free fun ideas on Teaching Heart’s Thanksgiving page… Click here!